Hi, I’m Martin Yate, the guy that writes the Knock em Dead books. They say that to write a book, all you need is the complete lack of a social life; well I’ve published 12, so what does that tell you? I live and breathe this stuff and obviously have no social life. Mondays from here on out, I’ll take you step by step through creating a strong personal brand, and how it can play a crucial role in your professional success. A successful career doesn’t happen by accident; it’s the result of consistent effort over time. And, like it or not, a big part of your success in life depends on the way others see you. Proactively shaping how others see you, not just sitting back and passively hoping they see what you’d like them to see, is what we call personal branding. Managing your success by managing your career starts with taking control of your professional persona. A considered approach to career management that integrates personal branding leads to growing credibility and increased visibility, first within your department, then company, and ultimately your profession. It’s the critical packaging of the “professional you,” and, done right, it drives long-term stability and success. It’s common sense to manage your professional image. For your brand to be viable it has to have a perceived value to your public. You can rush to put lipstick on the proverbial pig, but an audience made up of your peers and superiors will always see through to the truth. So if you want branding to impact your success, it must to amount to more than make-up. It must present a person of substance and determination. Your brand is the tool that projects your professional credibility and increases your visibility in a consistent way. To be successful over the long haul, this means that you must invest yourself in professional development, building the skills, behaviors and values that are admired by the people who make up your professional world. These range from the nuances of technical competence required in you profession, through those transferable skills and attitudes that travel with you from job to job, to the way you smile and lend a hand without being asked. When you develop an identifiable brand, it gives you focus and motivation, and others an easy way to differentiate and remember you. Start building your brand today, because the greater effort you put into establishing your professional credibility and visibility, the sooner you enter the inner circles that exist in every department, company and profession; and as you know, it is only in these inner circles that the plum assignments, raises and promotions are waiting. 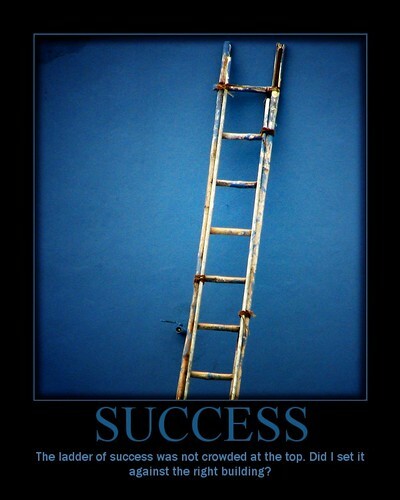 Where do you find success? You find it here, in engagement with your career and your life. Conversation is an important part of learning. Don’t be afraid to ask questions and share your experiences. See you in the comments! Martin Yate (CPC) is the author of Knock em Dead The Ultimate Job Search Guide, a NY Times bestseller updated annually for 24 years. He’s been in career management for 34 years: Silicon Valley Headhunter and VP with the seminal and feared Executek, Director of HR for Bell Industries Computer Memory Division, Director of Training and Development for Dunhill. Martin believes that change is your future, branding is critical, but no one has ever taught you how to navigate this stuff.